They can instantly transform your space. Look for unique hardware at second-hand stores, yard sales, and at your local hardware store. You can even make your own pulls and knobs. This blog post has some great ideas for DIY pulls. Another blogger here has some additional fun ideas. 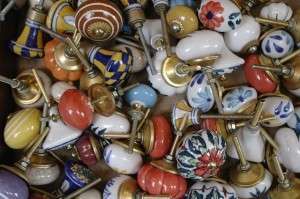 Another idea with pulls and knobs is to put them at the end of painted wooden poles to create your own curtain rods for a fraction of the cost. Just buy simple wooden rods, metal rods, or even electrical conduits at your local hardware store and choose two matching pull knobs. You can just screw the knobs in. You can paint the rods or leave them as is. The whole project costs less than $10 in most cases. If you have extra door knobs, you can use them inside your closet to hang accessories and ties. 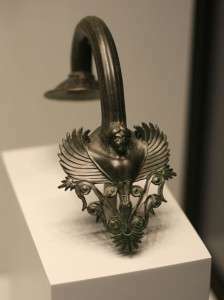 Or, screw them next to your window for an attractive curtain holder. Be sure to check out this blog for more unique projects. Switch plates and outlet covers are usually not very inspiring, but you can easily transform them into something special by adding some decorative switch plates. Oddee.com even has a guide here on making your own customized versions. If you can’t find great switch plates and don’t want to make your own, another idea is to place a frame around electrical outlets and light switches — even around thermostats. This will instantly add some style with very little effort. 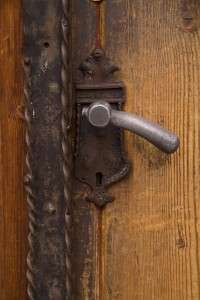 Door handles and locks do more than just keep unwanted guests out. They can also look amazing. Swap out the door locks and handles on your door for a whole new look. 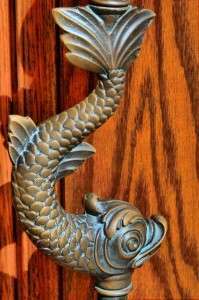 Check out this website for beautiful door handle ideas. 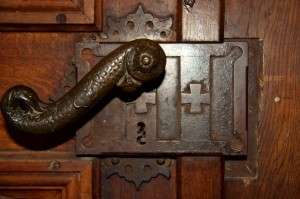 While you are making over your door, consider adding a whimsical door knocker (even on interior doors), beautiful street numbers, or even your monogram. These days, it seems as though most people think that door hinges should be functional and invisible, but there are actually a range of decorative hinges and strap hinges that look great on wardrobes, closets, doors, and cupboards. Look for rustic designs for your pantry door and dramatic gothic designs for wood doors. Check out this Pinterest page to see the amazing things you can do with a few hinges. Hardware may seem to be one of the least interesting design elements, but it can really be one of the most exciting. 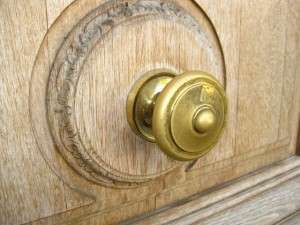 Inexpensive and easy to buy, hardware can make a big difference in your home – even if you aren’t handy or don’t have time for big makeover projects. This entry was posted in Decor & Style, DIY and tagged how to on August 8, 2013 by A. Antonow.